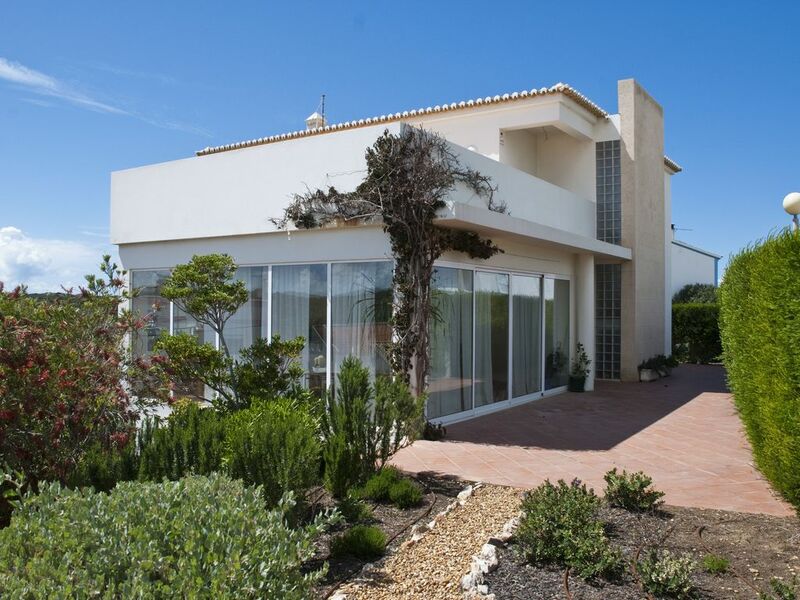 This is a large Villa in a very quiet and beautiful seaside town, called Carrapateira. This is a world famous Surf center, with beautiful sand beaches (Amado and Carrapateira) and unspoilt natural landscapes. The area is inscribed in the Costa Vicentina National Park. The house is of recent construction, with a large terrace with barbecue (40m2), and all modern amneties. There is a large salon in the basement with toys for kids, satellite tv, and family games. All rooms have ensuite bathrooms, and comfortable spaces. The surrounding area is an haven for nature lovers, with many hiking routes and unspoilt beachs. Nearby there are also picturesque towns, mainly Sagres, Vila do Bispo and Aljezur, with the usual services, shops and medical facilities. I spent a week at Miguel's house with my husband and two small kids (4 and 6). The house was very clean and comfortable. Spacious and very well equipped. It is a 2 minute walk from the center of Carrapateira, which we loved. Although the town is very small, it has a handful of great restaurants and cafes, a mini market and 2 surf stores. It provides easy access to two beautiful beaches - one of which is just a 10 minute walk along a sandy trail. Miguel was a fantastic host. Very communicative and responsive. For example, we had some trouble logging on to the wifi when we first arrived, but he responded to my email right away and quickly solved the problem. I would recommend Carrapateira and Miguel's house to anyone wanting to visit the Costa Vicentina. Thank you for your kind words Florencia, I'm glad you enjoyed your stay! It was also a pleasure to welcome you and your family to our house. This is a great house fully equipped with everything you need for a holiday that feels like home from home. The kitchen is amazingly well equipped. A two minute walk from the local village with cafes restaurants and shops. It is only 15 minutes to walk to the local beach too. I would highly recommend this home and the host went out of his way to help us when we were very late checking in. We stayed in Carrapateira for 10 days and it was perfect. We were 2 adults and 2 children . The house îs very well equipt - kitchen , living, terases.....realy more than we expected. It was very clean and we find everything you can need. "We were a goup of six friends spending a week in April and we absolutely loved it! This is by all means the ideal house-to-rent for a family looking for a spacious, comfortable, superbly equipped place ideally located to explore a coast of outstanding beauty. We are quite used to renting homes for holiday, so we have little doubt that this choice exceeds the common standards by far. Everything was just perfect - Carrapateira is a lovely liitle town, a far cry from the hussle of any Algarve resort, and the owner was most attentive in all the info, booking & payment procedures. Highly recommended, indeed - can't wait to come back!!!" "Very well equiped house, beach in walking distance. Perfect for children and adults. You don''t need a car there, even basic shopping is possible in Carrapateira (200m away) and in the evening you can sit outside in one of the cafés there or stay at home on the terrace with a beatiful view." "The house is situated in between the dunes and the village centre which makes it convenient for both walks to the ocean or the market square with its cafés and shops. It is really quiet in the area. Even if the neighbours were noisy, you wouldn''t hear anything as they are far enough away. The family was really welcoming when we arrived. The house was clean. The cleaning lady came round to clean during our stay. The view from the terrace is really nice: the village and its mill on the one side, the dunes on the other (the houses in between are not visible because they are lower). The amenities in the house were incredible, all electrical appliances, pots, pans, baking stuff, toys, dvd''s... were there. We really felt at home. The house is spacious and has a sunny and shadowy side at each moment of the day. There was only one drawback, which is not really due to the house, but rather to the Carrapateira humid climate: our daughters suffered from asthma, as they did in all the other houses (four in all) we stayed in before. Next time we go back to Carrapateira we would certainly consider going back there. Family Bosmans (four children between 10 and 15)"